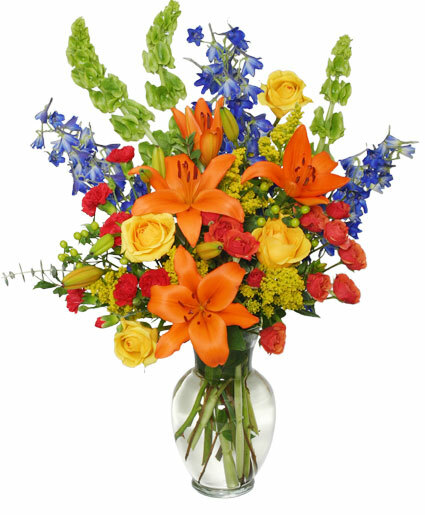 These vibrant fall flowers from Audra's Flowers will make any occasion special and memorable. Show loved ones how glad you are to have them in your life with our Awe-Inspiring Autumn arrangement. Order flowers online or call our shop today!